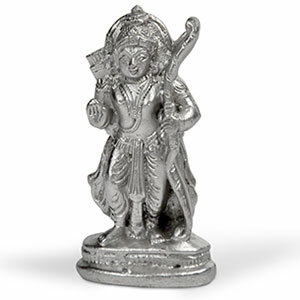 Parad idols give 1000 times more benefits than the puja of idols made of other substances. 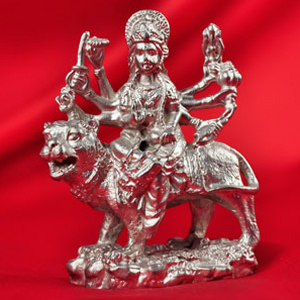 Parad Durga is a miraculous idol which is considered extremely auspicious for the complete eradication of poverty, sorrow, fear, misfortunes, enemies, conspiracies, obstacles, bad dreams, influence of malefic planets, black magic, evil eye and diseases. By worshipping Parad Durga one gets blessings of lord Shiva and Durga. Durga Mercury brings all round prosperity, harmony & happiness at home. 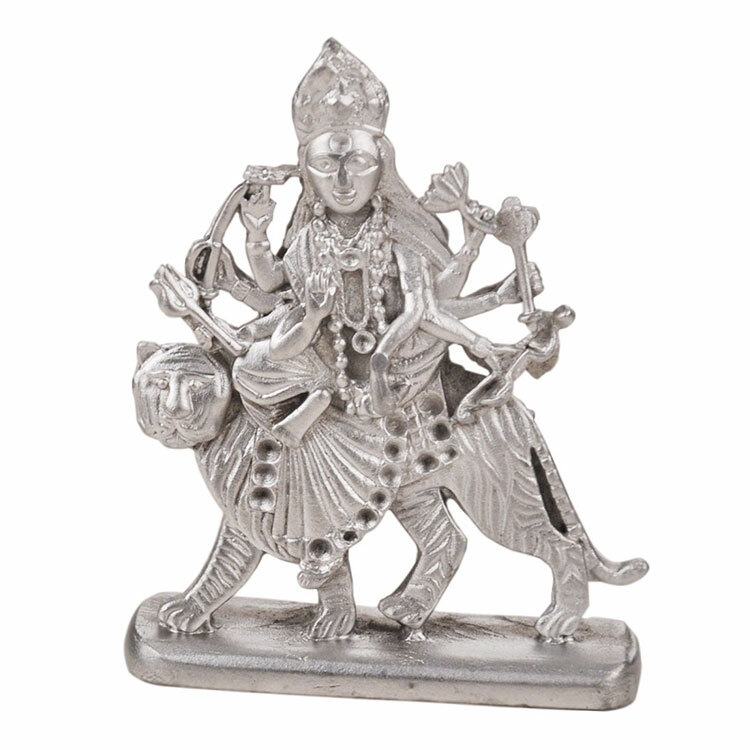 Durga Mercury provides protection from misfortunes and enemies. 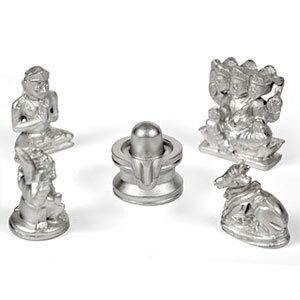 By worshipping goddess Durga one gets rid of all types of troubles. Parad Durga is considered auspicious for overcoming difficulties and fulfill all wishes. Following mantra should be recited for it - Om Aing Hreeng Kleeng Chamundaayai Viche.